Relay is a PSR-15 server request handler. Use it with any PHP framework or container. For middleware to use with Relay, please review middlewares/psr15-middlewares. Relay is a PSR-15 server request handler (aka “dispatcher”) for a queue of PSR-15 middleware entries. Then create a Relay with the $queue and call the handle() method with a server request. 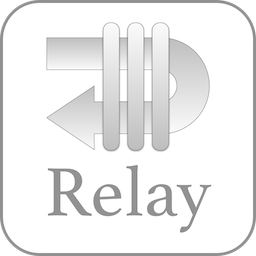 You may also use RelayBuilder to create a Relay. Relay will execute the queue in first-in-first-out order. You may wish to use $queue entries other than already-instantiated objects. If so, you can pass a $resolver callable to Relay that will convert the $queue entry to an instance. Thus, using a $resolver allows you to pass in your own factory mechanism for $queue entries. You can then add $queue entries as class names, and Relay will use the $resolver to create the objects in turn. You can also pass a $resolver to Relay when using RelayBuilder. Callable middleware may be intermingled with PSR-15 middleware.